When I first started studying Alchemy in the writings of C.G. Jung and much later, James Hillman, I had difficulty finding its relevance in the life of us moderns. Already lacking enough time in the daily grind to leave room for a little reading, writing and relaxation, how does one find the time to devote to studying alchemy, enough to allow its relevance to bear fruit? So in the past few months I have been looking for alchemical movement beyond what is written specifically about it, to how it can be seen in our modern culture through lyrics, movies and television. As presented by James Hillman, alchemy is the work of soul-making. Through the movement and expansion of our dayworld perspective we may begin to include the underworld perspective; its world of mystery and invisibles that unwittingly affect our lives. In the work, an Opus Contra Naturum (a work against nature), we move through the darkness of our human condition to the mystery of the goal, finding a way to navigate the darkness, authenticate our uniqueness, and in so doing, enter more fully and freely into life for life and death’s sake. If you’re looking (or obsessed? ), you can see alchemical movement everywhere, from song lyrics to television and most importantly in your own life. Perhaps by practicing seeing alchemy in the culture, we moderns can also see its relevance for our own lives. “Ain’t it just like the night to play tricks when you’re tryin’ to be so quiet ? The song contrasts the writer’s dayworld experience of his lover, Louise, with the absence of another, Johanna. Although it’s tempting to see Johanna as only a past lover, perhaps more than that, Johanna is soul or the desire for soul itself, the lament of her absence pointing to a loss, leading to the dark feeling of the Nigredo stage of alchemy in which, when it is reached, leaves us there, in the dark, stranded. 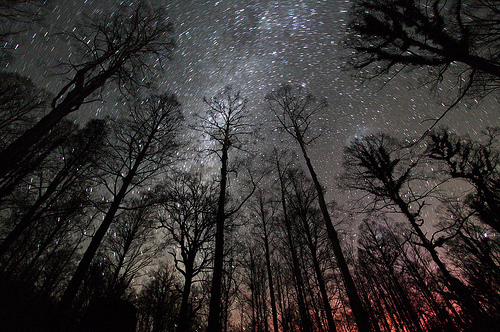 The pangs of absence tells us we’re not ready yet for any mirrors, not able to reflect yet, it’s still too dark. In the next verse there’s the admission of an attraction to danger and submitting to misery. As well, the misery starts to double in on itself as “the little boy lost” now complains about this awful state, bragging even and painfully aware of his own uselessness. Perhaps there can now be movement to the blue stage where the scintilla or spark so necessary for lighting the fire will be ignited. Sure enough, next we see the bluing of the darkness in his reflection on DaVinci’s Mona Lisa, for even she must of had the “highway blues.” So, there it is, the recognition that although alone, you are still in the company of other travelers. 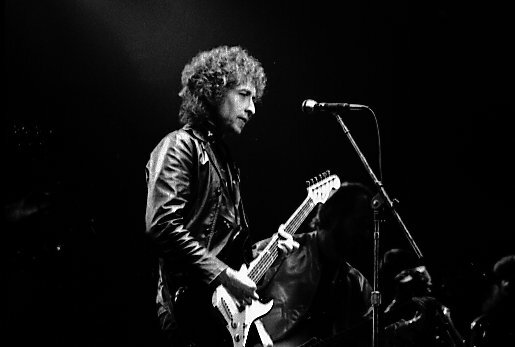 According to Wiki, this song was written shortly after Dylan’s marriage to Sara Lownds in 1965. Perhaps the dayworld marriage to Sara sparks a conflict in the soul whose love and need for freedom is threatened after feeling the weight of commitment that marriage and children bring. There’s no resolution, but much conflict in the last verse of the song. But, “the empty cage” does suggest that something has fled. In thinking about this I wonder if the emptiness too is not a necessary part of the work. The fleeing itself suggests movement, and that the “empty cage now corrode(s)” may indicate that there is no longer a need for a cage. The soul, as the flow and movement of the life-giving (animating) force, must give up any containment that is life or soul-destroying. A marriage is in order though, but one that we nurture and create providing for us a ground of being in which we can then navigate the course of our lives. 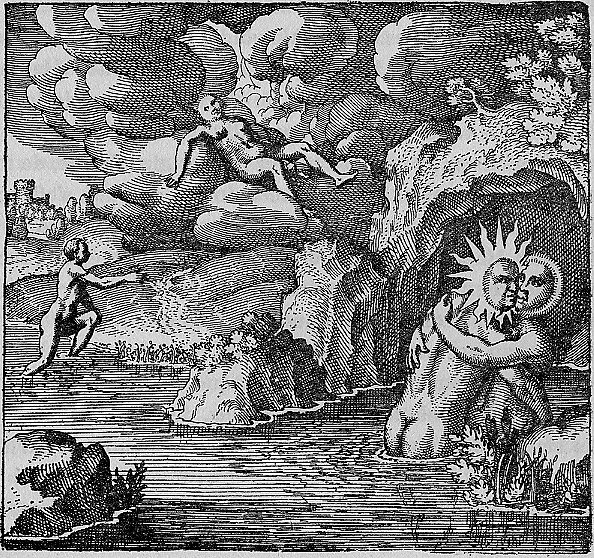 In alchemy this marriage is imaged as heaven and earth; in which our dayworld perspective is continually fed by the mystery of the unknown, the underworld, the source of all creation so necessary for both our life and our death. 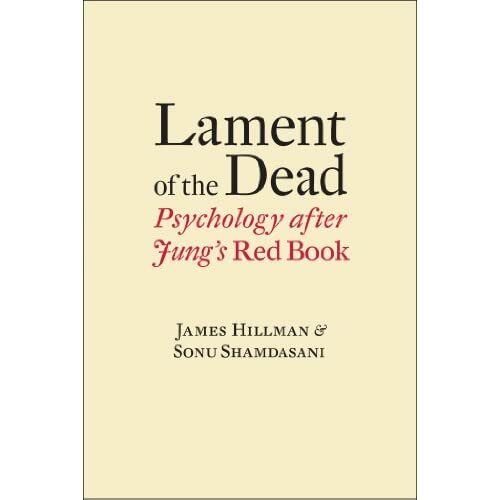 The book was written as an overview of what Hillman came to call Archetypal Psychology in distinction to Jung’s Analytical Psychology, or Freud’s Psychoanalytic theory. Unlike the legacy of Feud and Jung and their schools of thought, Hillman did not want to create a formal school with a following, and especially not one that advanced a training program for a therapeutic practice. The book is brief and includes a comprehensive listing of resources that extends beyond his own works to include all those who have either influenced or collaborated with Hillman. This list is intended as a tool for those interested in archetypal psychology. Works were selected for inclusion if they are important sources for, or are clearly within the tradition of archetypal psychology. We hope to have included the most significant works of those who have published in the field. It is a psychology deliberately affiliated with the arts, culture, and the history of ideas, arising as they do from the imagination. The term “archetypal,” in contrast to “analytical,” which is the usual appellation for Jung’s psychology, was preferred not only because it reflected “the deepened theory of Jung’s later work that attempts to solve psychological problems beyond scientific models” (Hillman 1970 b); it was preferred more importantly because “archetypal” belongs to all culture, all forms of human activity, and not only to professional practitioners of modern therapeutics. By traditional definition, archetypes are the primary forms that govern the psyche. But they cannot be contained only by the psyche, since they manifest as well in physical, social, linguistic, aesthetic, and spiritual modes. Thus, archetypal psychology’s first links are with culture and imagination rather than with medical and empirical psychologies, which tend to confine psychology to the positivistic manifestations of the nineteenth-century condition of the soul. Moving archetypal psychology away from the “professional practitioners of modern therapeutics” invites a larger audience, an audience not necessarily coming out of the milieu of psychopathology, but from a broader spectrum of the culture – to read, study and reflect on the nature of psyche or soul moving ideas back into the arenas of our world; arts, music, literature, politics, science, technology and religion, places where we not only live out our calling, but where we meet one another and make soul, both on a personal level and through a shared world of Anima Mundi, or soul of the world. From Jung comes the idea that the basic and universal structures of the psyche, the formal patterns of its relational modes, are archetypal patterns. These are like psychic organs, congenitally given with the psyche itself (yet not necessarily genetically inherited), even if somewhat modified by historical and geographical factors. These patterns or archai appear in the arts, religions, dreams, and social customs of all peoples, and they manifest spontaneously in mental disorders. 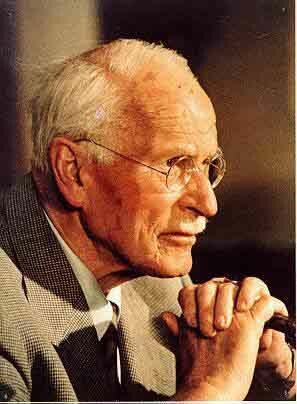 For Jung, they are anthropological and cultural, and also spiritual in that they transcend the empirical world of time and place and, in fact, are in themselves not phenomenal. Archetypal psychology, in distinction to Jungian, considers the archetypal to be always phenomenal (Avens 1980), thus avoiding the Kantian idealism implied in Jung (de Voogd 1977). Hillman understood these patterns as not only an aspect of psychopathology, but that of everyday human experience. We are all in psyche, living through the lens of fantasy, personifying archetypal patterns that speak through us. The primary, and irreducible, language of these archetypal patterns is the metaphorical discourse of myths. These can therefore be understood as the most fundamental patterns of human existence. To study human nature at its most basic level, one must turn to culture (mythology, religion, art, architecture, epic, drama, ritual) where these patterns are portrayed. The full implication of this move away from biochemical, socio-historical, and personal-behavioristic bases for human nature toward the imaginative has been articulated by Hillman as “the poetic basis of mind. Hillman refers to Jung as the first father of archetypal psychology naming the Parisian Islamic scholar, Henri Corbin as the second father. From Corbin we understand image as an unmediated, primary, pre-lingual phenomena from which all else follows. So rather than imagination being in us, we are in psyche, we are being imagined by powers (archai) we pretend to understand. 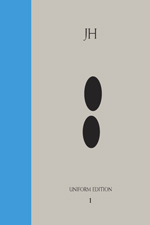 But more important than the ontological placing of archetypal realities is the double move of Corbin: (a) that the fundamental nature of the archetype is accessible to imagination first and presents itself first as image, so that (b) the entire procedure of archetypal psychology as a method is imaginative. Its exposition must be rhetorical and poetic, its reasoning not logical, and its therapeutic aim neither social adaptation nor personalistic individualizing, but rather a work in service of restoration of the patient to imaginal realities. The aim of therapy is the development of a sense of soul, the middle ground of psychic realities, and the method of therapy is the cultivation of imagination. Archetypal psychology seeks to reorder the place of image by placing us in image. The reasons for this come clearer in the discussion that follows. The source of images – dream images, fantasy images, poetic images – is the self-generative activity of the soul itself. In archetypal psychology, the word “image” therefore does not refer to an afterimage, the result of sensations and perceptions; nor does “image” mean a mental construct that represents in symbolic form certain ideas and feelings it expresses. In fact, the image has no referent beyond itself, neither proprioceptive, external, nor semantic: “Images don’t stand for anything” (Hillman 1978). They are the psyche itself in its imaginative visibility; as primary datum, image is irreducible. Therefore, Hillman sees the attempt to see the image as the product of the imagination as backwards. The image is primary. …all empirical studies on imagination, dream, fantasy, and the creative process in artists, as well as methods of rêve dirigé, will contribute little to a psychology of the image if they start with the empirics of imagining rather than with the phenomenon of the image – which is not a product of imagining. Empirical approaches of analyzing and guiding images strive to gain control over them. My sense of Hillman is that he is appealing to us for an acceptance of living with ambiguity, fluidity, metaphor and desire that is not resolved by the finality of any state of being such as wholeness, individuation and salvation might suggest. An image always seems more profound (archetypal), more powerful (potential), and more beautiful (theophanic) than the comprehension of it, hence the feeling, while recording a dream, of seeing through a glass darkly. Hence, too, the driving necessity in the arts, for they provide complicated disciplines that can actualize the complex virtuality of the image. In part II, we’ll look at the archetypal image itself and explore the implications of Hillman’s idea that the image is primary and therefore universal, regardless of age, gender, religion, ethnicity, nationality, time or geographical location – to an understanding of the nature of image and how our sense of self and cosmology is both guided and misguided by how we are lived by their invisible presence in our lives. An arche-typal image is psychologically “universal,” because its effect amplifies and depersonalizes. Even if the notion of image regards each image as an individualized, unique event, as “that image there and no other,” such an image is universal because it resonates with collective, trans-empirical importance. All excerpts from: Hillman, James (2013-09-18). Archetypal Psychology (Uniform Edition of the Writings of James Hillman). Spring Publications. Kindle Edition. I really enjoyed reading The First Gates blog post “Dreaming with Animals,” an insightful look at some primary differences between the works of C.G. Jung and James Hillman. A professor who had studied the subject at length once posed that question in a psychology class. The answer, he said, was finding an animal helper. More than any other human or supernatural guide, an animal ally can lead the hero or heroine through trials and dangers to the end of their quest. The professor was a friend and colleague of James Hillman (1926-2011) who loved animals and began collecting animal dreams in 1956. Toward the end of his life, Hillman helped compile and update five decades of essays and lecture transcripts for a ten volume collection of his work. Five volumes have been published to date, including Animal Presences, 2012, which I am currently reading. It has been a wonderful adventure re-reading and sharing here James Hillman’s wonderful book Alchemical Psychology. Every time I read Hillman I am inspired to keep digging the well that continues to give me sustenance, joy and the feeling that life does make sense. The writing of this series is my attempt to pay tribute to Hillman by presenting a smattering of his writing to you, along with a few of my own thoughts. Hillman has had a profound and lasting influence on my life and my intent here is to be true enough to the gift he has given me – keeping alive his spirit by passing along a bit of his writing to you. Links to parts One through Seven of this series of posts can be found on the Index page of the blog. We don’t need science to point out what the poets and many others have always known to be true. This last stage is a return to blue, although not the blue of “the Blues,” that we find in an earlier stage of Alchemy discussed in chapter two of Hillman’s book. This blue is that which connects heaven and earth and is indeed the marriage of spirit and matter. Hillman sees the common thread running through these blue visions as a move towards the edge, which bring a unifying sense of the matter and spirit in the cosmos. This idea of going beyond the personal may perhaps need some clarification. Transcending the personal does not mean leaving it behind in favor of a greater and more glorious transcendent world. I do worry that some may read into this that a move beyond the personal is a goal in which we attempt to abandon the personal mundane aspects of our lives. I do not see transcendence as a state to be achieved in which we leave behind the material, personal nature of our lives, but one in which a bridge between the two is built. The physical form of our bodies, our earthly life including the material nature of things, with their height, weight, birth and death are as much intended and necessary as is the spiritual and psychic nature that enliven us. It also worth keeping in mind that these states are not limited to a chosen few, but available to us all. Many of us not only sense that there is more to this life than our physical, visible world, but that being inclined to favor one over the other is just as unsatisfying as being stuck in the mud of physical existence pining for the freedom of a purely spiritual existence. It’s the marriage of the two worlds that brings joy and ignites the passion of the creative force that delivers the gifts that each of us is to give. Hillman frequently insists that by sticking to the image, we will see what is there to be seen and that moving away from the image risks replacing them with concepts and formulas that move us away from the phenomena of the world, rather than towards it, in which we can then welcome what is trying to be born. Hillman, James (2011-10-10). Alchemical Psychology (Uniform Edition of the Writings of James Hillman). Spring Publications, Inc.. Kindle Edition.